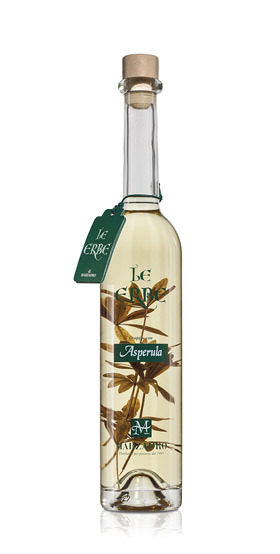 Obtained by infusing woodruff plants in Grappa from selected blends of marc from Trentino, which are distilled separately in Bagnomaria pot stills and subsequently mixed. Woodruff is a perennial herbaceous plant that is directly harvested by our distillery in June and July, before flowering, in the forests of Monte. Baldo and Monte Bondone. Woodruff gives the Grappa a delicate and fresh flavour.